Daimler will invest 500 million Euros in a new battery factory in Germany. The new battery factory will produce lithium-ion battery packs for hybrid and electric vehicles for Mercedes-Benz and smart brands. Li-Tec, a subsidiary of the Daimler Group, ceased manufacture of battery cells in December 2015. The majority of the 280 employees were transferred to the Deutsche Accumotive—also a wholly owned Daimler subsidiary—which manufactures battery packs based on LG Chem cells. Daimler consistently expands its activities in the area of electromobility and invests around 500 million Euros in the construction of a new battery factory. This will lead to a significant expansion of the production capacities for lithium-ion batteries of Deutsche ACCUMOTIVE located in the Saxon city of Kamenz. 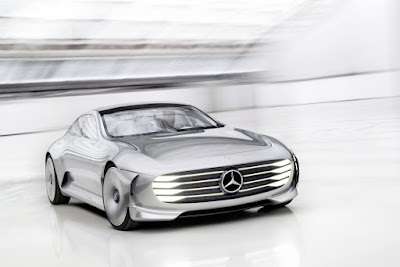 The new factory will produce batteries for electric and hybrid vehicles of the brands Mercedes-Benz and smart. As a first step, the full Daimler subsidiary has purchased about 20 hectares of land adjacent to the existing battery factory. "To get closer to fully electric driving, we keep investing big in the key component of emission-free vehicles: powerful batteries. We are now devoting another 500 million Euros to build a second battery factory in Germany. This underlines our commitment to the consistent expansion of electromobility", said Dr. Dieter Zetsche, Chairman of the Board of Management of Daimler AG and Head of Mercedes-Benz Cars. Daimler announced a initial 100 million euros investment to expand East German battery pack output in 2014. With the growing electrification of the automobile, the demand for highly efficient lithium-ion batteries is also rising steadily. Through its entry into the new business field with stationary battery storage for private and industrial applications, Deutsche ACCUMOTIVE will tap into additional growth opportunities. By the end of 2014, the Daimler subsidiary had already announced its plans for a significant increase in its production capacities and an investment of around 100 million Euros in the expansion of the existing battery factory. "With the purchase of the new land, our production area at the site will be tripled. The previous 20,000 square meters will be stocked up by an additional 40,000 square meters of production space. We will expand the production capacity consistently in the coming years", said Harald Kröger, Head of Development Electrics/Electronics and e-Drive Mercedes-Benz Cars. The groundbreaking ceremony for the new factory is planned for fall 2016. The topping-out ceremony will then follow in spring 2017. The new production plant is to start operations in summer 2017. Daimler entered into the business with stationary battery storage with Deutsche ACCUMOTIVE last year. The scalability of the systems enables the use of the lithium-ion batteries in big industry for network stabilization and smoothing of peak shaving for energy producers as well as private households, for example in conjunction with photovoltaic installations. Mercedes-Benz energy storage units for private households can already be ordered and will soon be installed at customers in collaboration with selected sales partners. In the area of industrial applications, around 29 megawatt will be connected to the network jointly with different partners.